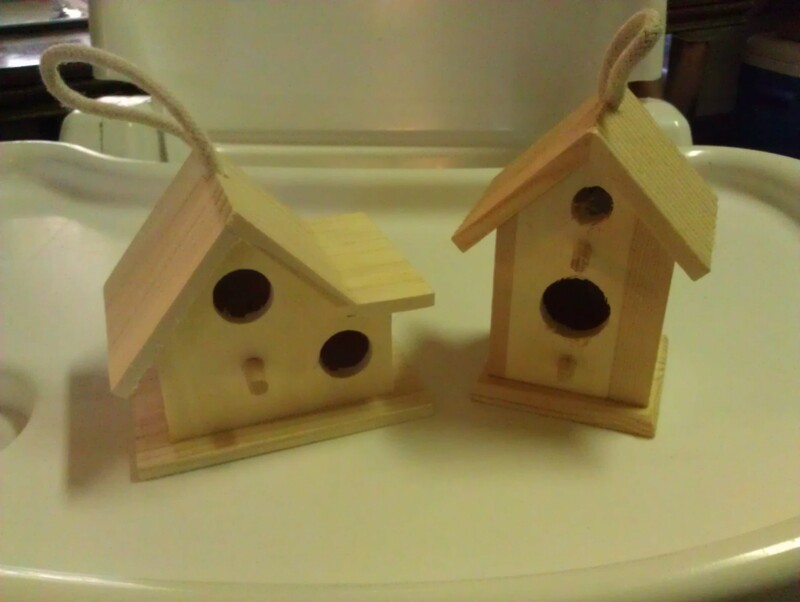 Our New Birdhouses | Who Are You Calling Crafty? 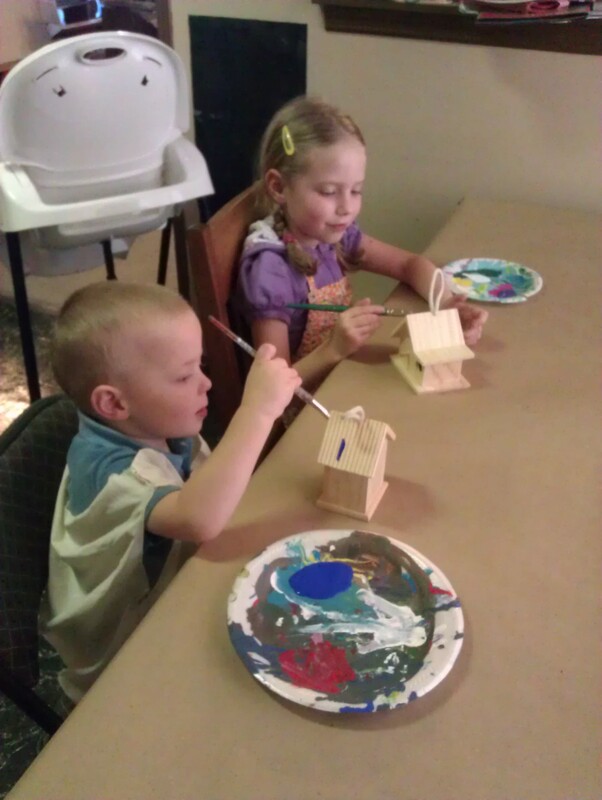 Our first day project of Summer Vacation was painting birdhouses. This was an easy project that kept the kids occupied for about a half hour. 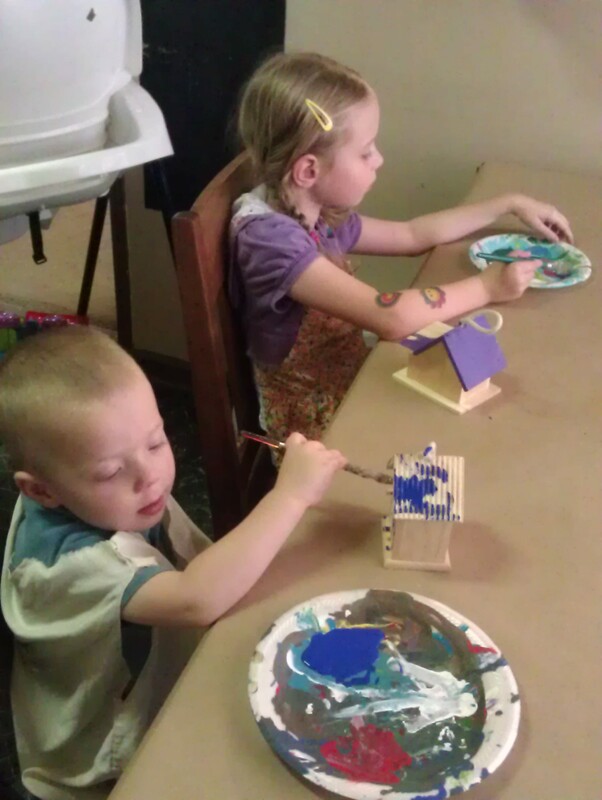 They really enjoyed using paint and I also thought decorating them with stickers would also be fun. My table is currently covered with paper and will be for the rest of the summer because it makes it so much easier to do projects in a hurry. 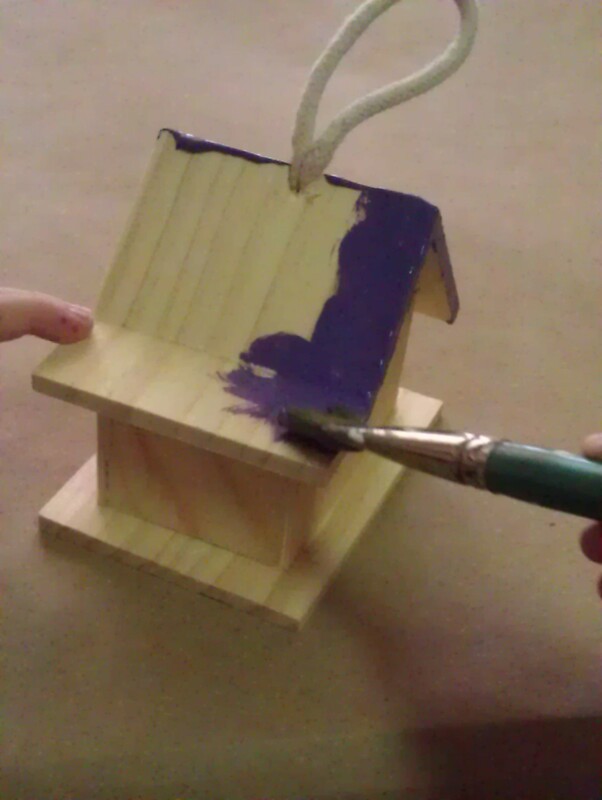 The princess painting the birdhouse. 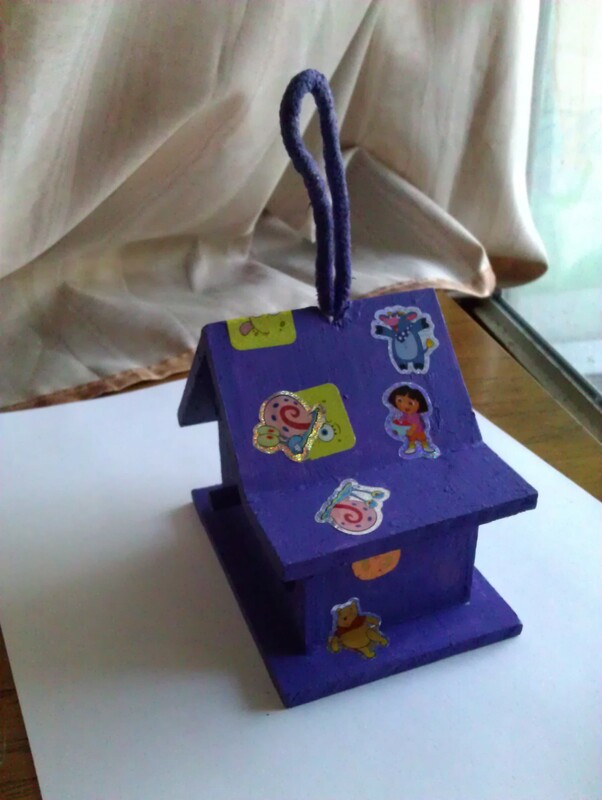 The Princess’s birdhouse side view with stickers. 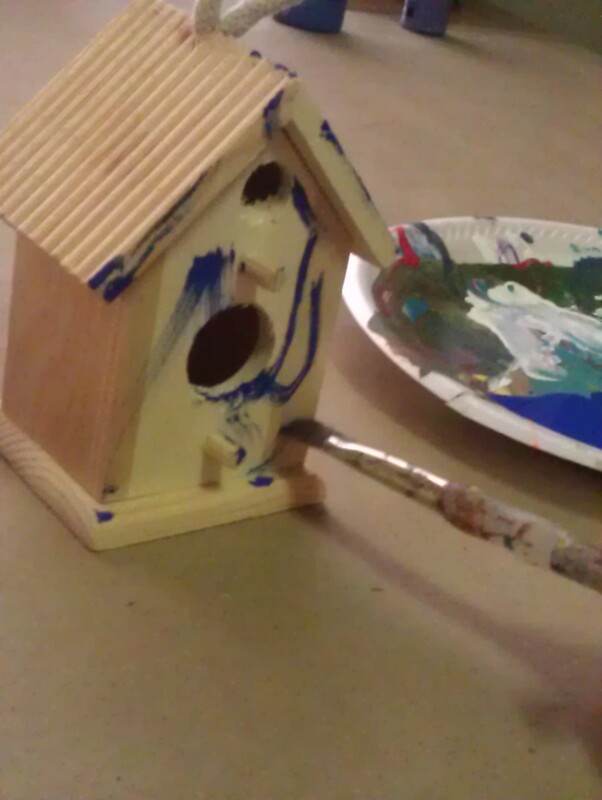 Put Outdoor Sealer on the birdhouses if you want to hang them outside. 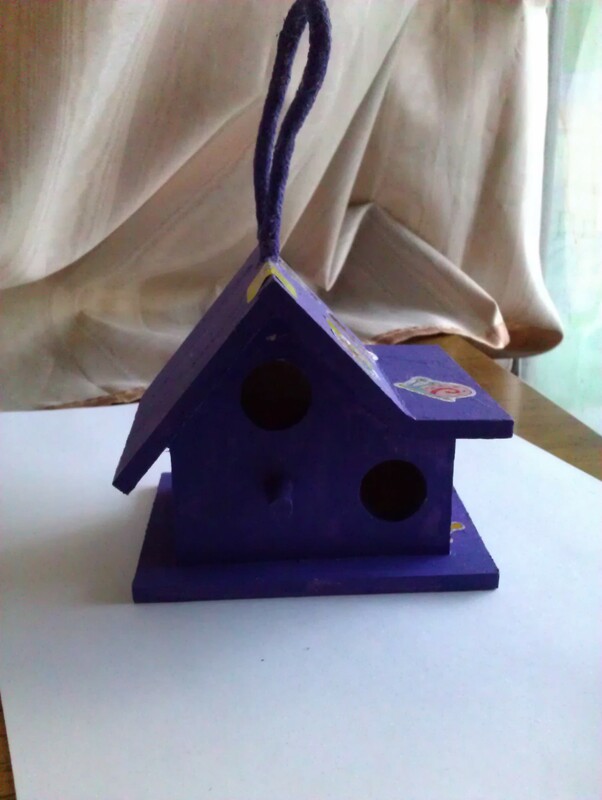 Also Booga’s birdhouse is MIA (I think it is in his room being used as a Thomas house).